Empower approached Fifth Ring wanting to increase positive awareness of their brand within the local business community. 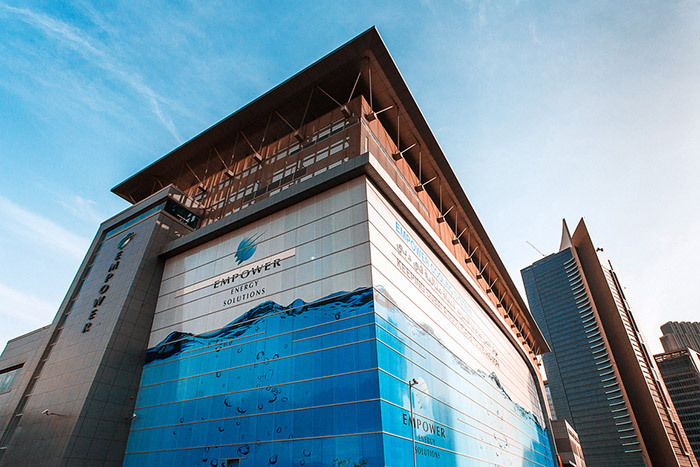 We identified Empower’s Central Business District plant, located adjacent to the main thoroughfare to the Dubai International Financial Centre, as the perfect platform for the message. This site provided not only high traffic, but also high quality and relevant business traffic. While many companies would have been content with a billboard, we encouraged Empower to take the campaign one step further. Following site surveys and the necessary approval processes, we wrapped the entire lower portion of the building in the company’s ‘One way vision’ media graphic. This was a can’t-be-missed piece of branding that achieved the desired hard-hitting effect within the market identified. 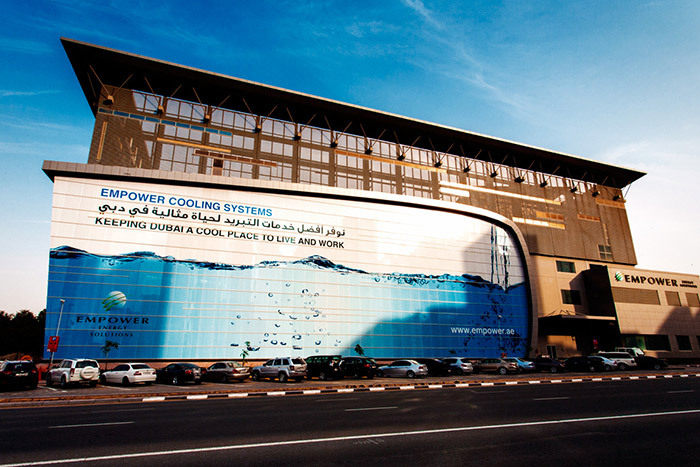 The advert was recognised for its creativity and won a Global Ace Award for ‘out-of-home’ advertising.